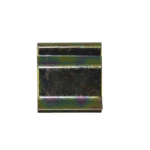 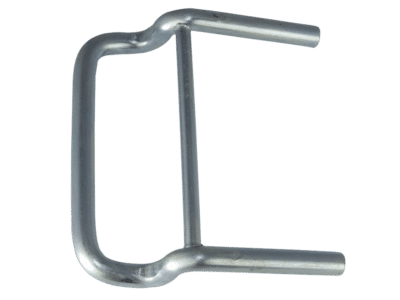 The Speedrack Pallet Rack Clip Old Style 4″ cross beam clip is used to install a Speedrack Products Group selective pallet rack system. 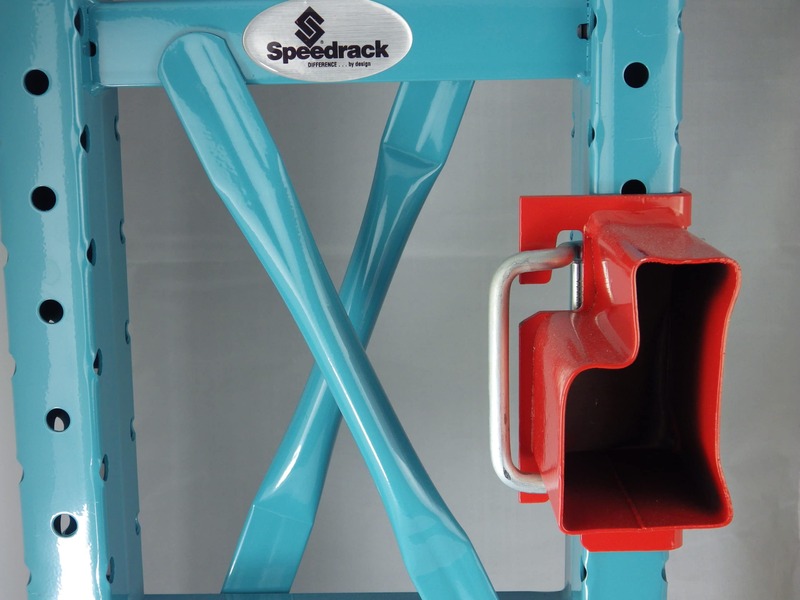 Speedrack Old Style Pallet Rack is a rack system commonly found in the United States. 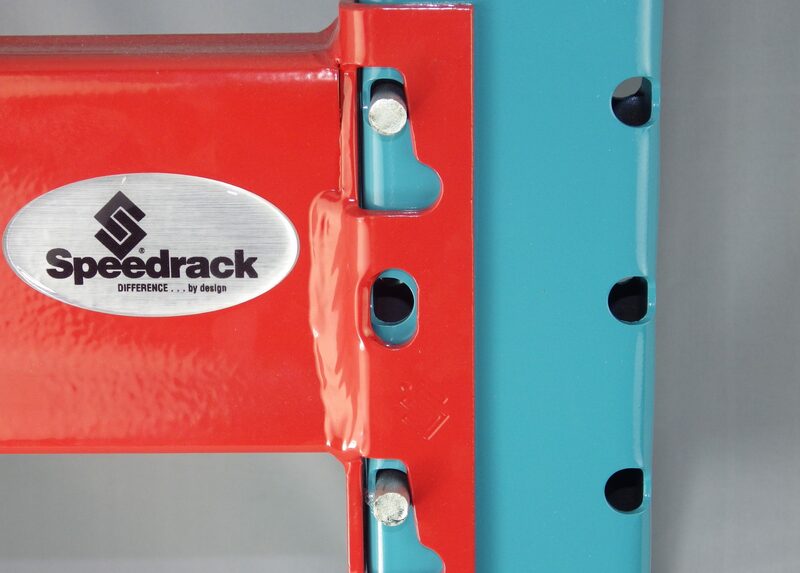 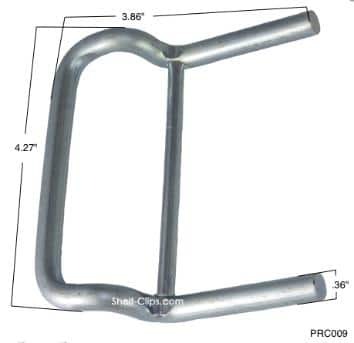 The Speedrack original pallet rack design uses a horseshoe clip and a drop pin to make a secure connection between the pallet rack upright frame and cross beam. 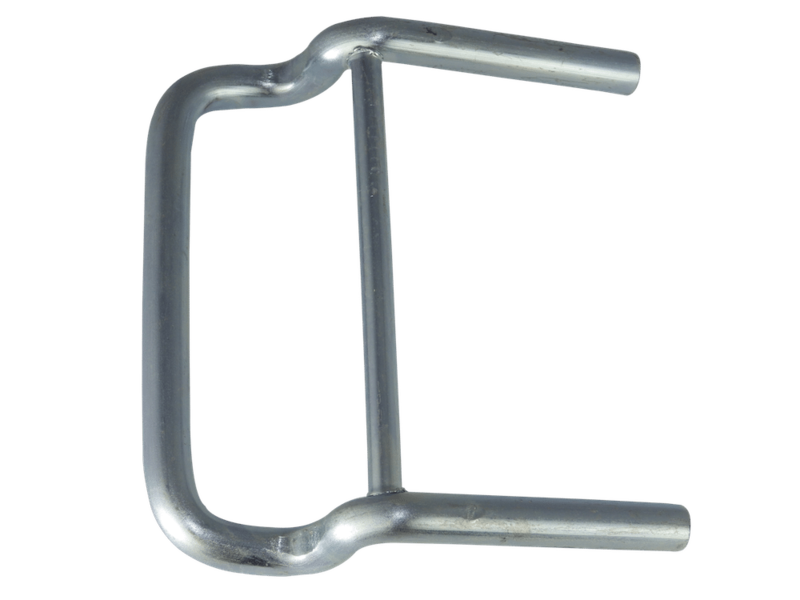 The Horseshoe clip inserts from the backside of the frame column, extending two pins out of the front of the upright upon which the pallet rack beams rest. 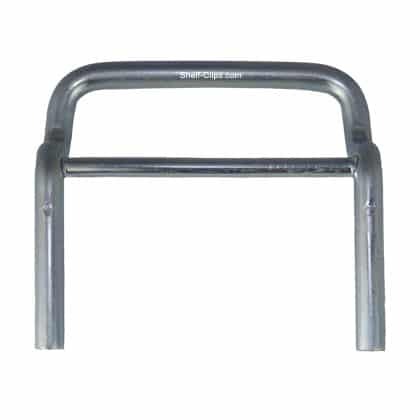 Furthermore, the proprietary tri-planar connection has strength that is far greater than ordinary beam to frame pallet rack connections. 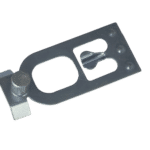 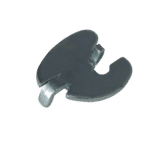 The Speedrack J Bolt drop pin (sold separately) then secures the beam-to-frame connection by entering through small aligning holes in the cross beam and upright frames. In the shelving installation instructions these locking pins prevent accidental load beam disengagement from the frame columns.